Overview for Misaligned: The Silver Scepter – While closing a time fold spawned by their victory over Ms. Morgan, Penny encounters a knot in time. The only way she can break it is by releasing a never before seen red time strand. Shortly afterward, Piper Falls is plagued by a series of baffling events, each preceded by the appearance of a mischievous elf-like man from Celtic legend known as the Coch Coblyn. Stumped, the Deputy Sheriff seeks help from his good friend, Darin Kolchak, a paranormal investigator. Compounding the mystery is the discovery of a prehistoric artifact intertwined with Seneca myth and Master Poe’s past. The sole survivor from the civilization that created the artifact travels in time to retrieve it and save his people from the cataclysm that destroyed them. Penny and her friends race to unravel the secrets of the artifact and prevent either of the new arrivals from using it to return to power. “Misaligned: The Silver Scepter” by Armen Pogharian is the second book in the series and the second book that I have read by this talented author. These books are imaginative with clever story-lines that are intelligent and filled with adventure and intrigue. Perfect for the young fantasy reader. Or anyone who is looking for an unusual escape. The writing is uniquely poignant and the characters are addicting. How could I not fall for Penny and Duncan? I love that this series has a strong female lead. That is one of the things that really attracted me to this series. Girl power all the way and at the same time guys are empowered too. 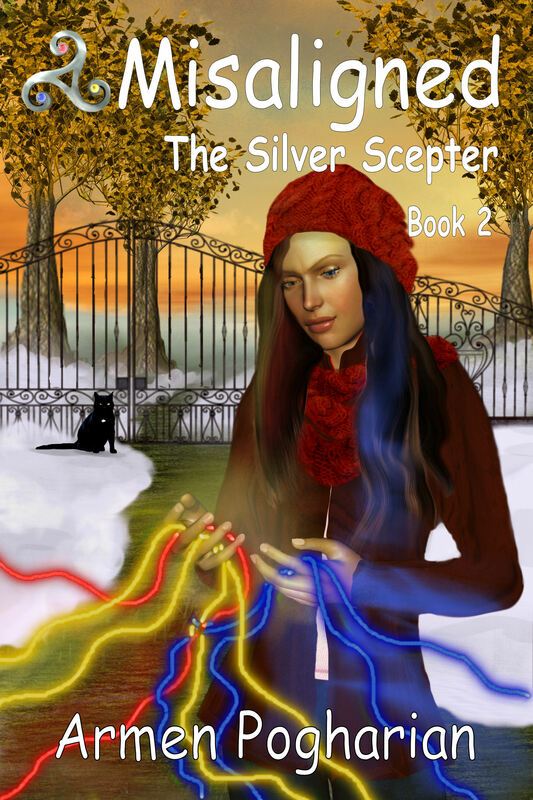 I was touched by the first book in the series, Misaligned: The Celtic Connection and this story, The Silver Scepter does not disappoint. If that sounds interesting to you please take a look at my Where to Purchase page for your favorite retailer links.